The Foreign Account Tax Compliance Act (FATCA) is a United States statute that requires United States persons, including individuals who live outside the United States, to report their financial accounts held outside of the United States, and requires foreign financial institutions to report to the Internal Revenue Service (IRS) about their American clients. France is a signatory of the agreement and therefore financial institutions and US citizens in France are bound by the disclosure requirements of the statute. The effective date was originally scheduled for January 1, 2013 and was later pushed back and came into effect on July 1st, 2014. Congress enacted FATCA to make it more difficult for U.S. taxpayers to conceal assets held in offshore accounts and shell corporations and to recoup federal tax revenues. 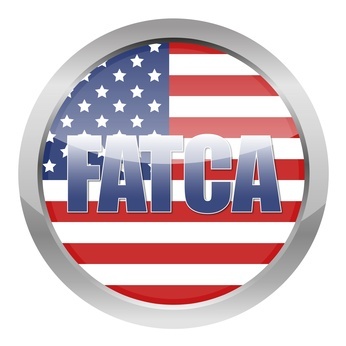 FATCA requires foreign financial institutions, such as banks, to enter into an agreement with the IRS to identify their U.S. person account holders and to disclose the account holders’ information. It also requires U.S. individuals owning these foreign accounts or other specified financial assets to report them on a new Form 8938 which is filed with the person’s U.S. tax returns if the accounts are generally worth more than US$50,000. A higher reporting threshold applies to US persons who are overseas residents, from US$200,000 depending on whether single or married, separate or joint filing. The reporting requirements, including penalties, apply to all U.S. citizens, those born in the U.S. but foreign-born persons with American parents are susceptible to being considered citizens for this purpose. Ernst & Young is informing its clients that if a FFI does not enter into an agreement with the IRS, all relevant US-sourced payments, such as dividends and interest paid by US corporations, will be subject to a 30% withholding tax. The same 30% withholding tax will also apply to gross sale proceeds from the sale of relevant US property. 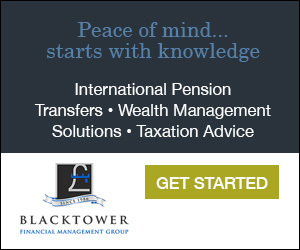 Account holders would be subject to a 40% penalty on understatements of income in an undisclosed foreign financial asset. An unintended effect of forcing foreign financial institutions and foreign governments to collect data on U.S. citizens has allegedly resulted some foreign banks balking to open accounts for Americans, making it harder for Americans to live and work abroad, and reports of an increase in the number of Americans renouncing U.S. citizenship. According to Forbes, the act is one of the reasons for a surge in the (albeit small) number of Americans renouncing their citizenship – a 221% increase in 2013 over 2012. Official IRS summary of reporting requirements for US taxpayers. This article is for general information purposes only and does not constitute legal, or other professional advice. We would advise you to seek professional advice before acting on this information. That $200K threshold is quite a high figure. Many of us living here have nowhere near that amount to declare. Which is why it is difficult to understand why European banks refusing Yanks living in Europe an account out-of-hand (without asking how much they want to deposit) is really quite disturbing. And one last remark, which I will take from American revolutionary history – the fact that the IRS imposes tax reporting on Americans abroad is tantamount to “Taxation without representation!” Our congressional legislators could not give a fig about those of us who live abroad (even if they vote).